Can customer service be used for shoplifting prevention? Pay close attention to all customers who enter your store. Acknowledge the presence of the customers by saying something like, “I’ll be with you in a moment”. This simple salutation will deter most impulse shoplifters which make up the majority of shoplifters that enter a retail store. The true solution to shoplifting is a combination of customer service and a Checkpoint system. Customer service is not only utilized for add-on sales or to project your store sales environment, but it also can be used as an effective method against shoplifters. Most thieves hate customer service; however when the customer to service ratio is not balanced and your employees cannot adequately tend to all of the customers in the store, the Checkpoint becomes your backup. The Checkpoint system is always operating. If shoplifters attempt to remove merchandise from the store, the Checkpoint system will alarm and alert staff members of attempted thefts. Loss Prevention Systems, Inc. (LPSI) is considered the leading nationwide consultant around the U.S. regarding Alpha High Theft Solutions products and Checkpoint Solutions. We have nationwide sales, products, and services. LPSI gives you much more than theft prevention equipment. The experience in retail theft prevention allows Loss Prevention Systems to deliver valuable education and strategies. Stop theft today with Loss Prevention Systems (LPSI) and Checkpoint & Alpha Systems products. 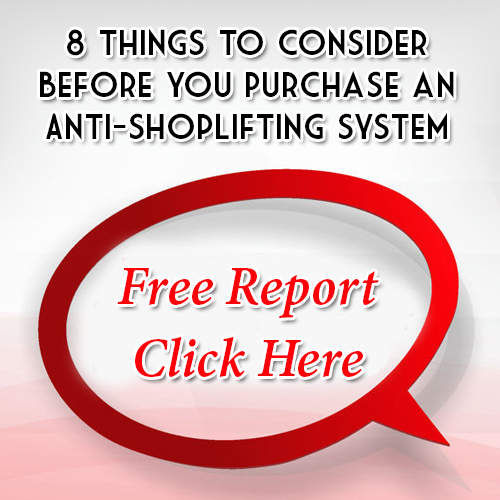 For more information on Shoplifting Prevention, simply call (866) 914-2567 right away!